A class act on and off the stage. 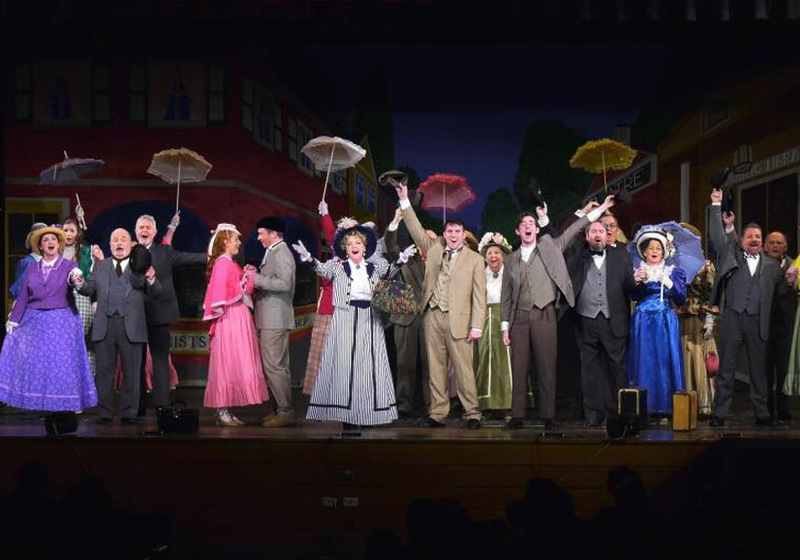 The Neshaminy Valley Music Theatre is a not-for-profit, scholarship grant organization, incorporated under the laws of the Commonwealth of Pennsylvania. The group was formed in 1956 as an off-shoot of a Parent-Teacher fund raising activity in the Neshaminy School District. 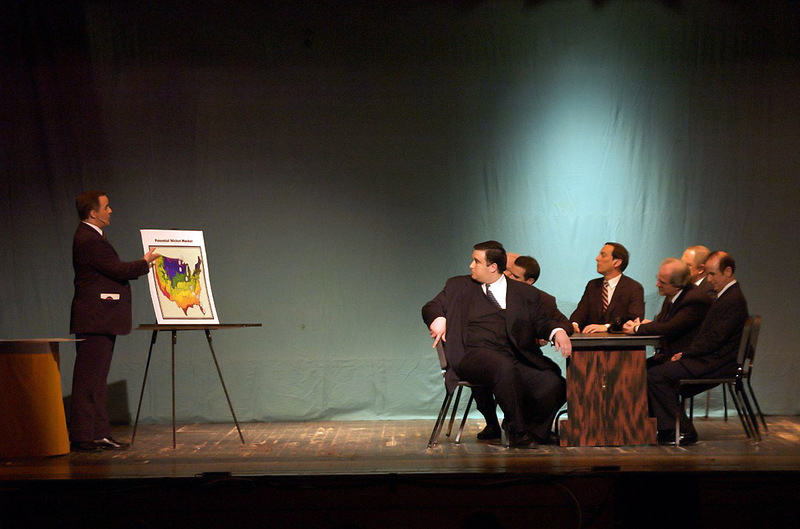 Although NVMT is an independent community theater, the group has strong ties to the Neshaminy School District and has used the facility at the Neshaminy High School since its inception. 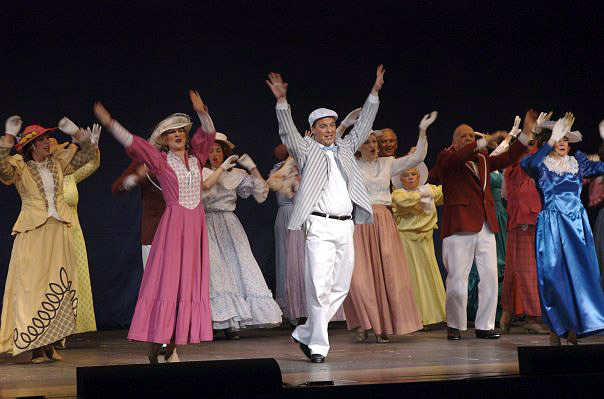 For several years, the Music Theatre had been invited to perform our shows at the Bucks County Playhouse in New Hope, PA.
Neshaminy Valley Music Theatre has produced one musical show each year since 1956. The proceeds of the production contribute to a scholarship fund which is awarded to graduating seniors of the Neshaminy School District who plan to continue their studies in the fine or performing arts. 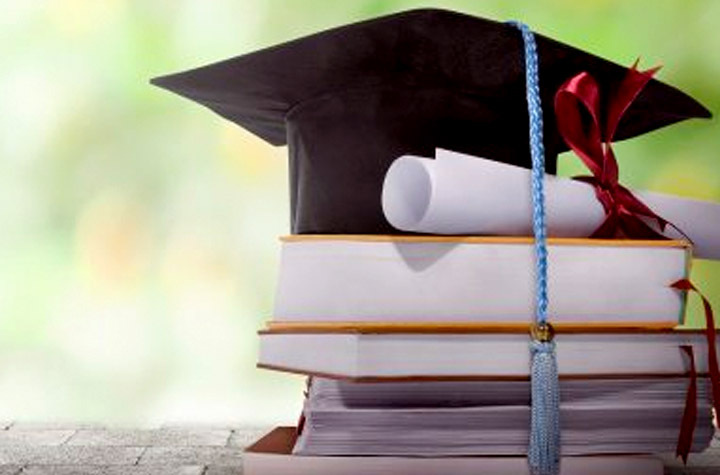 Since its founding, NVMT has awarded more than $150,000 in scholarship grants to deserving students. Our most prestigious grant is the Evelyn McLean Memorial Scholarship, named for the founder of the organization. Additional scholarships are awarded annually, including the Joseph J. McGlade Memorial Scholarship, the George W. Kinsley IV Memorial Scholarship for Students of the Woodwind Instruments and the Dotti Gelenberg Memorial Scholarship as well as other grants, the number and size of which are determined by the financial success of the production. The Music Theatre is governed by a Board of Directors which is responsible for organizing the production, developing the directing staff and maintaining the financial stability of the group. NVMT is totally self sustaining and receives no outside financial assistance. Any and all monetary donations go directly into our scholarship fund. 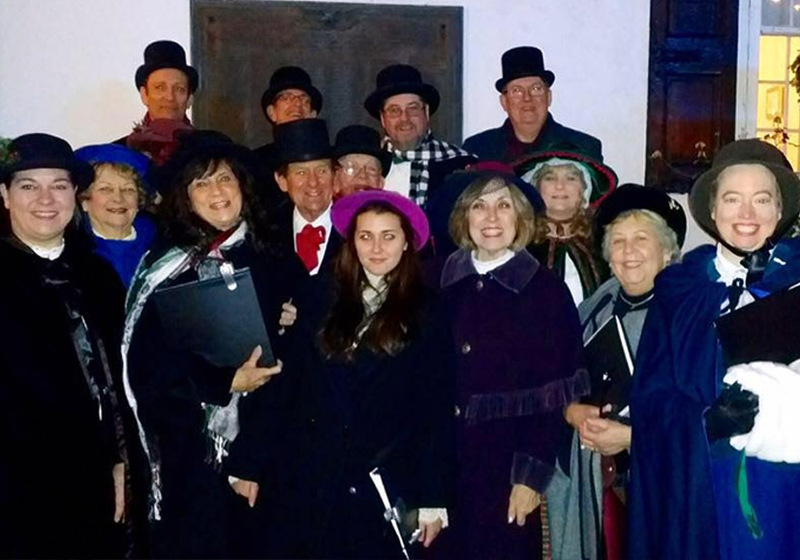 Cast members sing for the community on Dicken′s Night, an annual holiday event in Historic Langhorne Borough. 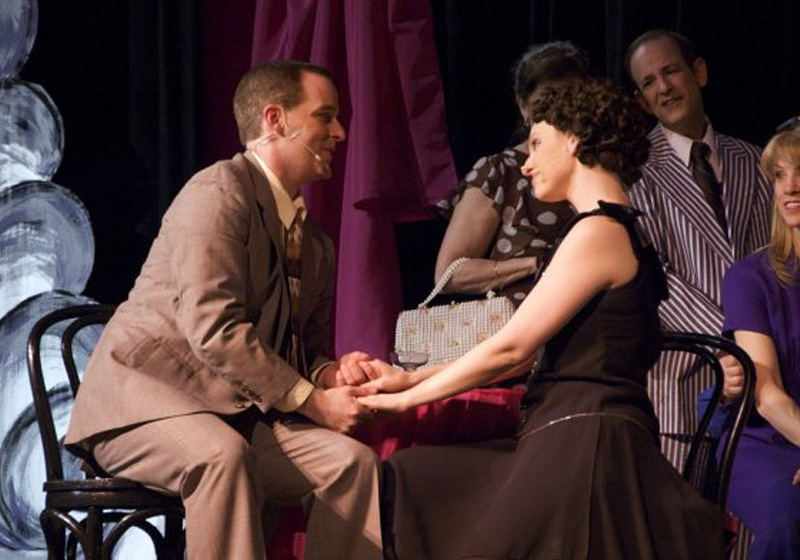 NVMT takes pride in producing professional grade stage musicals as well as servicing the community through its scholarship grant program. Over the years, our dedication to these high standards has drawn the best talent the area has to offer. We welcome your involvement and participation in the Music Theatre and thank you for your interest in our group! 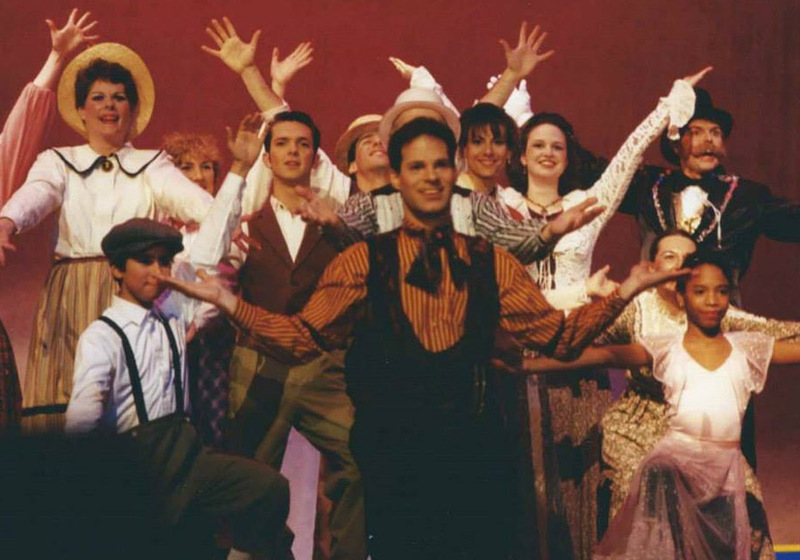 2016 The Music Man 1985 Oklahoma! 2008 Wonderful Town 1977 Hello, Dolly! 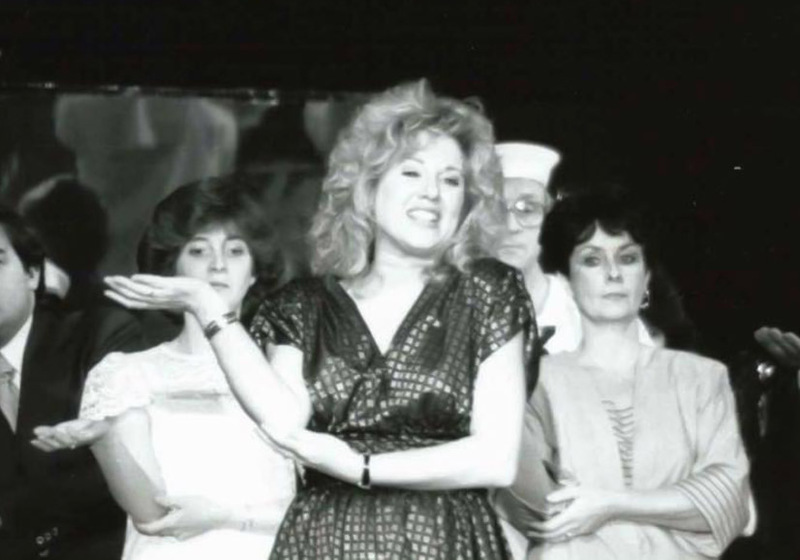 1991 Hello, Dolly! 1960 Oklahoma!